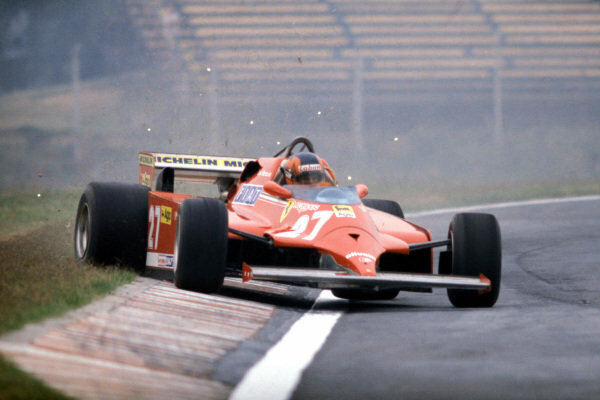 Gilles Villeneuve, Ferrari 126CK, corrects a slide as he runs wide onto the grass. 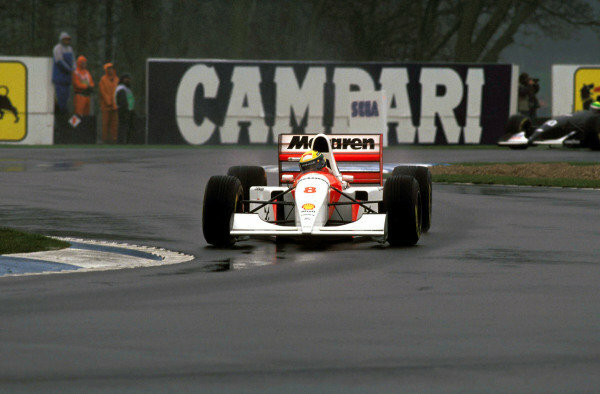 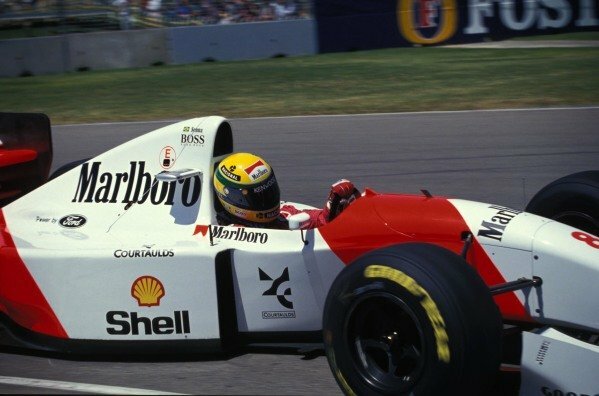 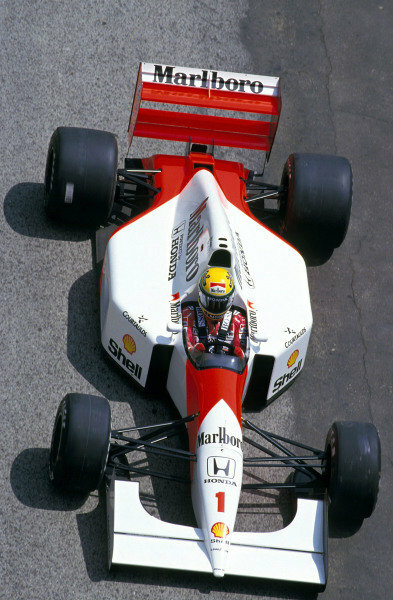 Ayrton Senna, McLaren MP4-7A Honda. 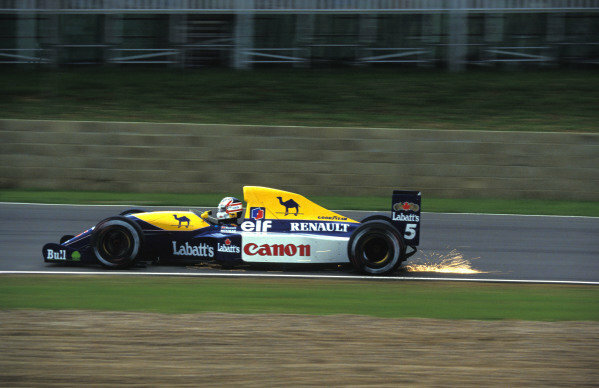 Nigel Mansell, Williams FW14 Renault. 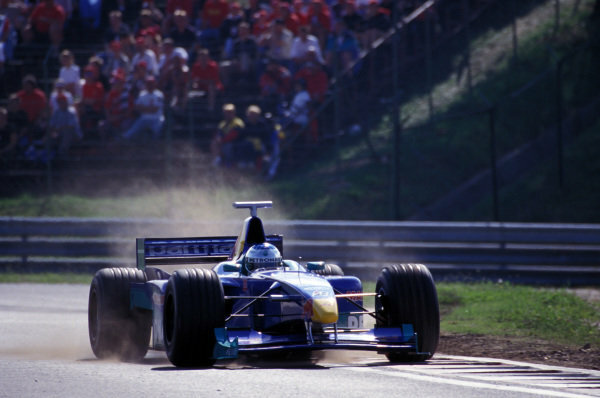 Jean Alesi, Sauber C18 Petronas, kicking up some dust. 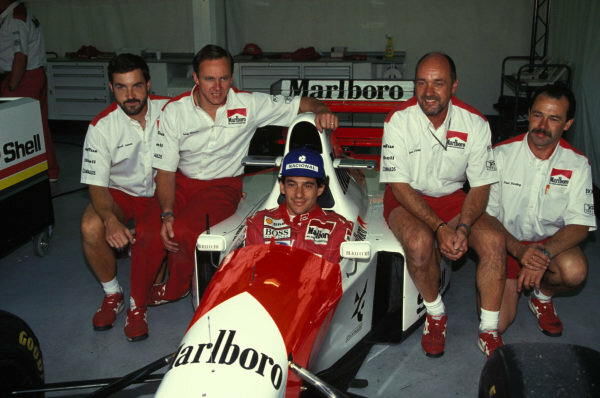 Ayrton Senna, McLaren MP4-8 Ford with McLaren mechanics in the garage. 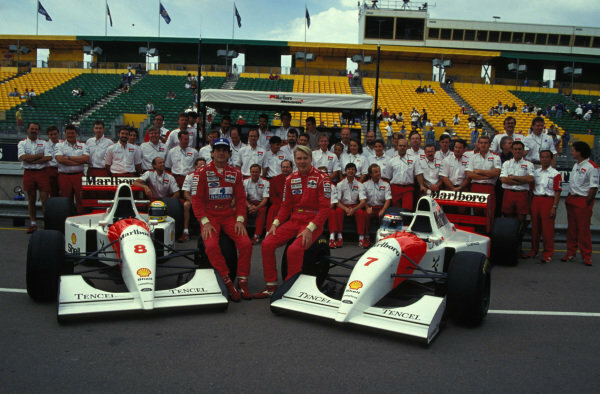 Ayrton Senna and Mika Häkkinen pose with their McLaren MP4-8 Fords and team personnel in the pitlane. 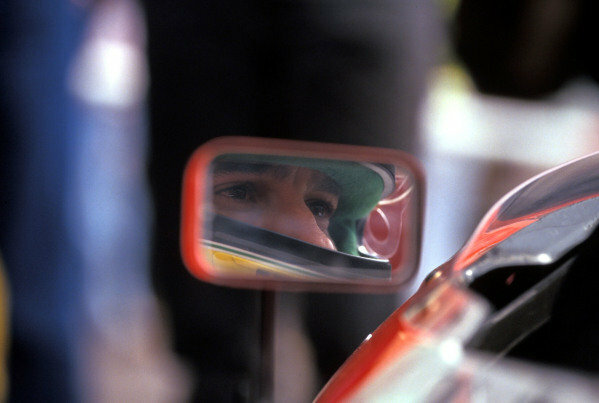 Ayrton Senna, McLaren MP4-8 Ford. 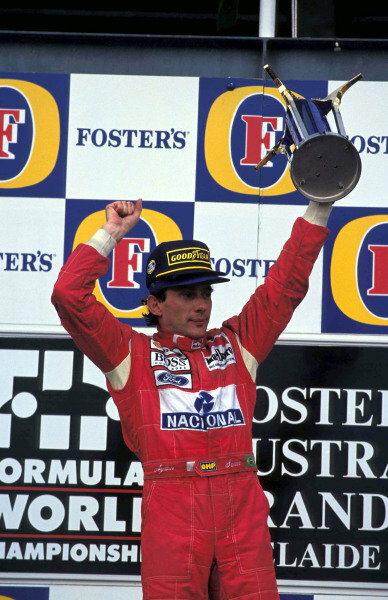 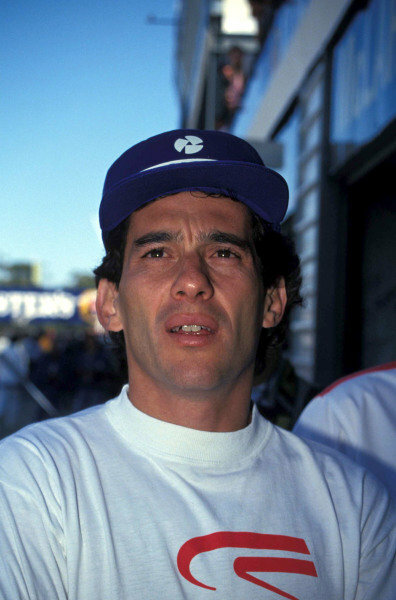 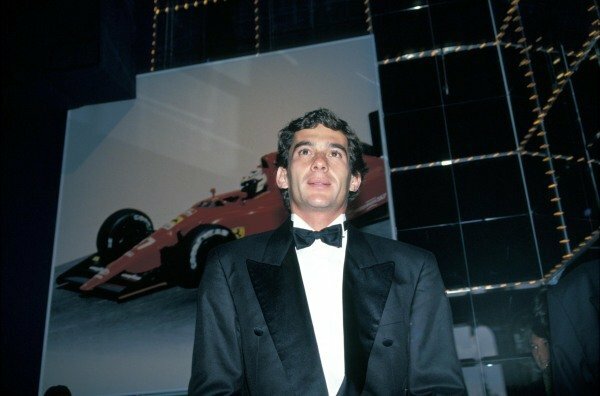 Ayrton Senna, 1st position, on the podium. 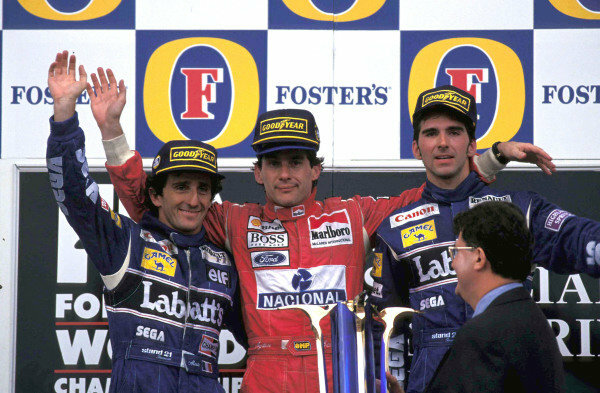 Alain Prost, 2nd position, Ayrton Senna, 1st position, and Damon Hill, 3rd position, on the podium. 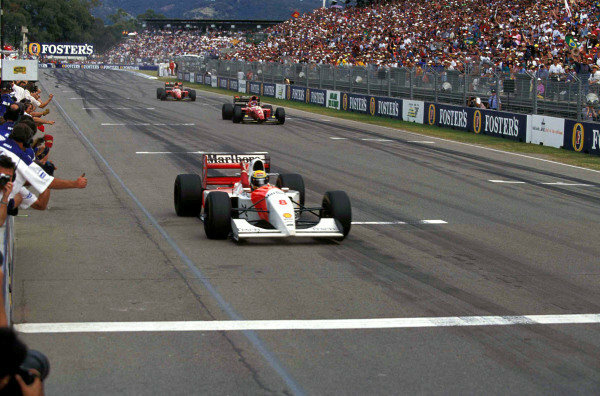 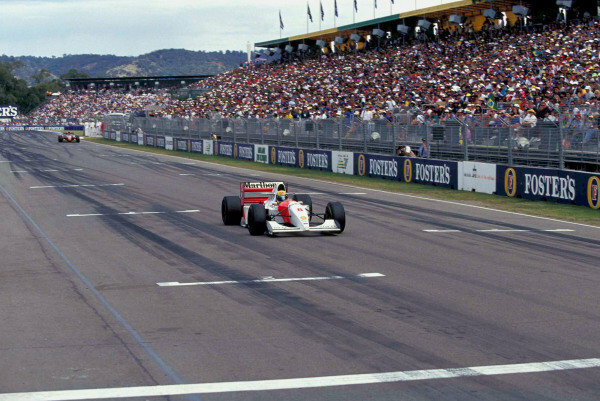 Ayrton Senna, McLaren MP4-8 Ford, raises his arm as he crosses the line at the end of the race ahead of Jean Alesi, Ferrari F93A, and Gerhard Berger, Ferrari F93A. 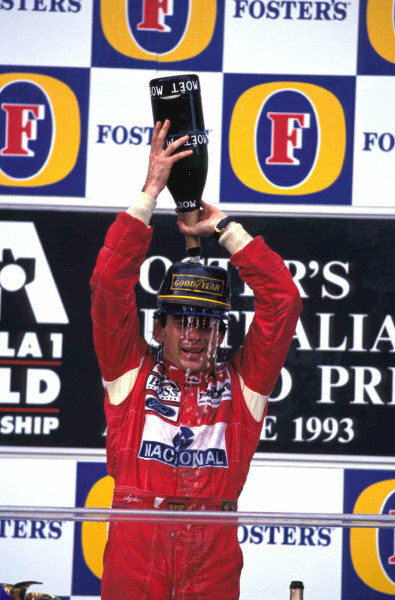 Ayrton Senna, 1st position, pours champagne over himself on the podium. 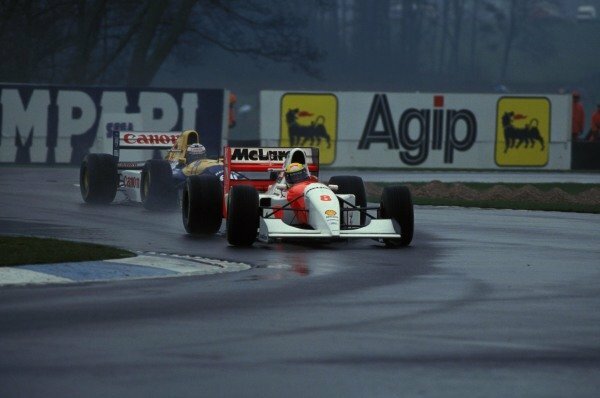 Ayrton Senna, McLaren MP4-8 Ford, leads Alain Prost, Williams FW15C Renault. 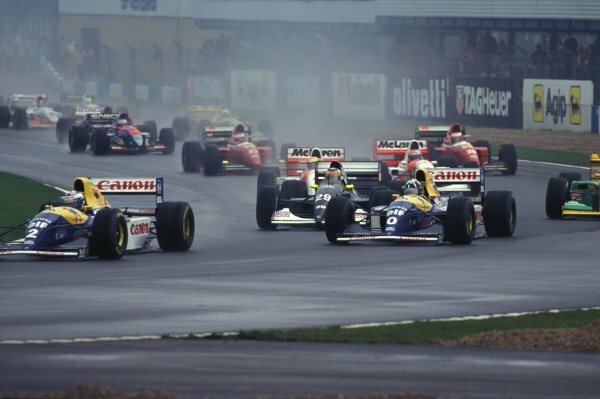 Alain Prost, Williams FW15C Renault, leads Damon Hill, Williams FW15C Renault, Karl Wendlinger, Sauber C12, and Ayrton Senna, McLaren MP4-8 Ford. 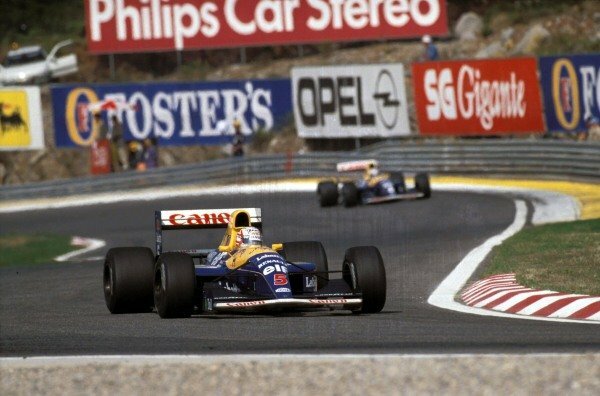 Alain Prost, Williams FW15C Renault, leads Damon Hill, Williams FW15C Renault, and Karl Wendlinger, Sauber C12. 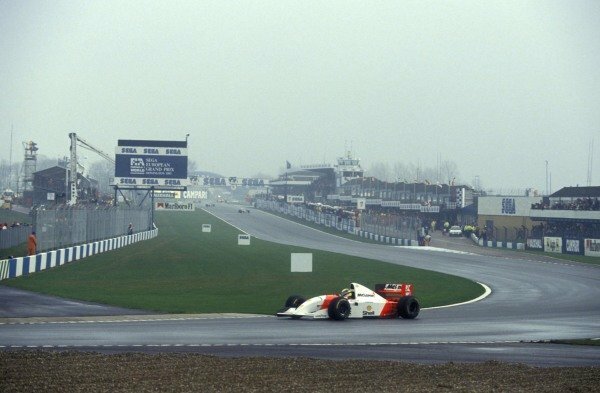 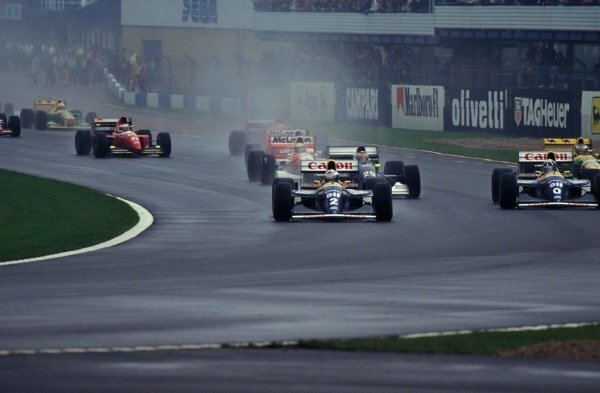 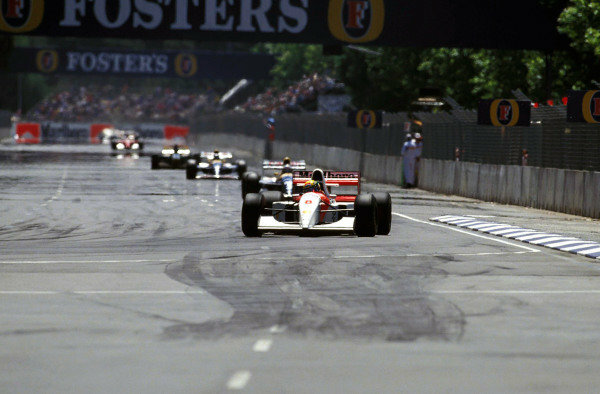 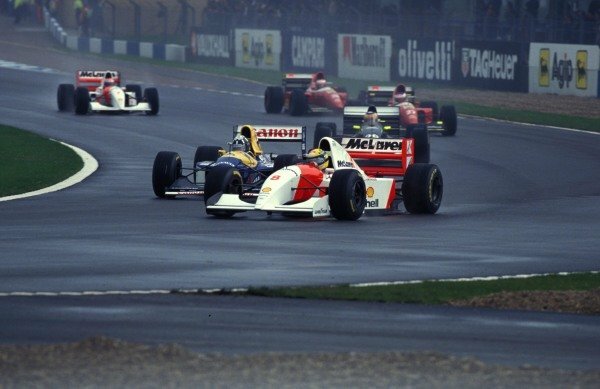 Ayrton Senna, McLaren MP4-8 Ford, leads Damon Hill, Williams FW15C Renault, Karl Wendlinger, Sauber C12, Jean Alesi, Ferrari F93A, Gerhard Berger, Ferrari F93A, and Michael Andretti, McLaren MP4-8 Ford. 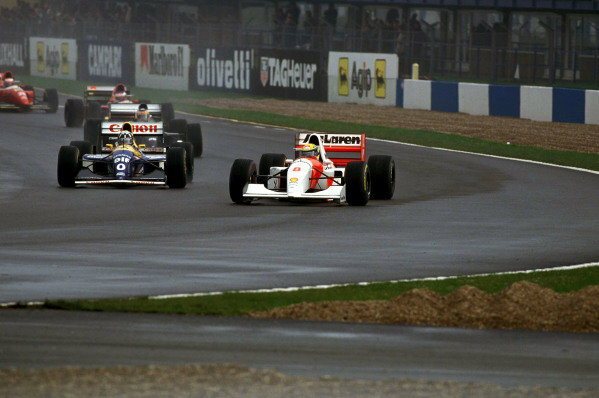 Ayrton Senna, McLaren MP4-8 Ford, leads Damon Hill, Williams FW15C Renault.